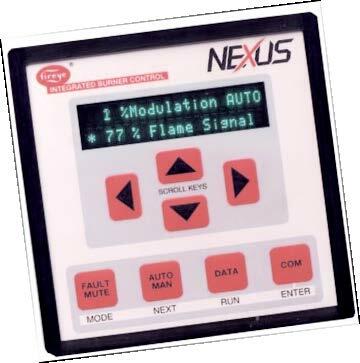 Advanced microprocessor based fuel/air ratio controller for industrial or commercial burners. The Fireye PPC 6000 is an advanced microprocessor based fuel/air ratio controller for industrial or commercial burners firing gaseous or liquid fuels. The PPC 6000 controls up to ten servo motors, positioning them to within one tenth of an angular degree. Four programmable profiles are available that determine the positional relationship between all servo motors across the firing range of the burner. The servo motors are controlled via a secure CanBus communications link and are non-monotonic which make them especially suited for burners with FGR.